Anorak News | Martin Lewis sues Facebook over scam ads; but who watches MoneySupermarket? Martin Lewis sues Facebook over scam ads; but who watches MoneySupermarket? 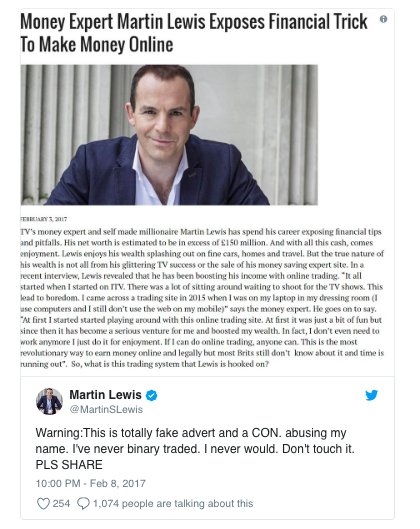 The added benefits of ‘money saving expert’ Martin Lewis suing Facebook for allowing fraudsters to use his name to trick money from people who trust him is that Facebook gets another kicking – good news for publishers jealous and wary of its power – and media-savy Lewis gets to be relevant. Lewis has built a very lucrative career advising people how to save cash. In 2012, he sold MoneySavingExert.com for £87m to MoneySupermarket.com, which runs an online price comparison service. In the 12 months to the end of last October, MoneySavingExpert generated revenues of nearly £16m from 39 million users. Of this income, about 59% was earned from referral fees paid by MoneySupermarket. 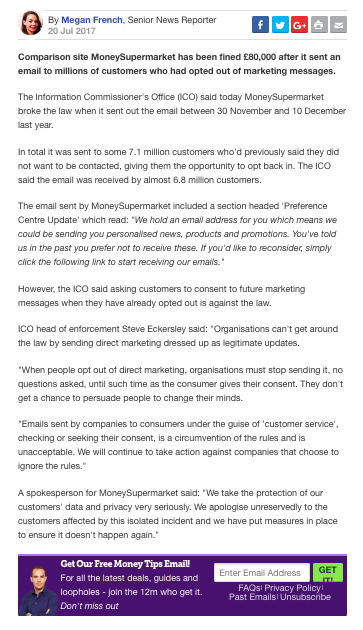 The story on MoneySavingExpert.com makes no mention of the site’s relationship to MoneySupermarket. Is that fair? 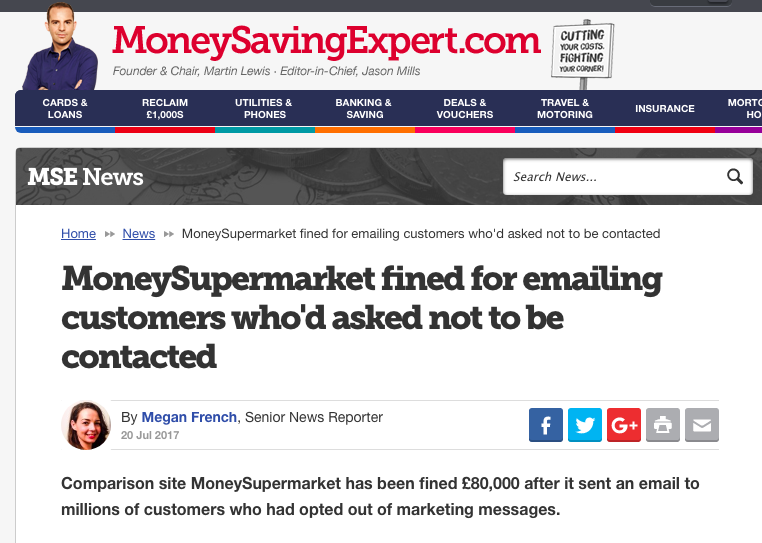 Martin Lewis at the top of a story that makes no reference to the fact MoneySavingExpert is owned by MoneySupermarket. Promoting financial products is a lucrative business. Lewis says Facebook earns money from the fake ads, making it is responsible for them. What’s odd and troubling is that Facebook, having taken the villains’ money, seems less bothered about punishing the crooks. How many of them just book another ad? Someone invested £100,000 in a financial product they first saw on Facebook because it featured a photo of a bloke from the telly? What madness. No wonder conmen feel it’s worth having a go. That seems fair. Why should the victim have to report the crime to the company promoting the scam and earning money from it? And what does Facebook do with money earned from these ads?